Advertised as a game “to bring back the glory of the golden arcade age, when all that really mattered was getting on that high score list” – Super Crate Box is incredibly easy to pick up, but crushingly difficult to master. 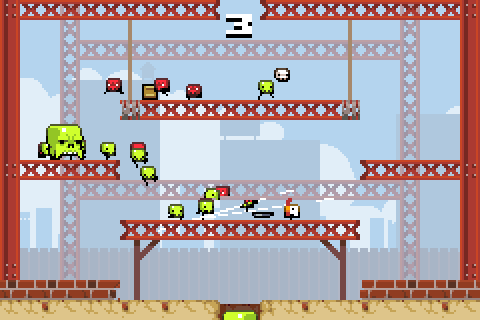 In it, you face an infinite horde of enemies, but your only objective is to gather as many crates as you can. The catch? Each crate spawns you with a different random weapon, forcing you to drastically change your play style with each crate pickup. Super Crate Box is incredibly addicting, and you can download it for free from the game’s site or you can pay for the iOS mobile version from the itunes App store to play on your phone, instead.